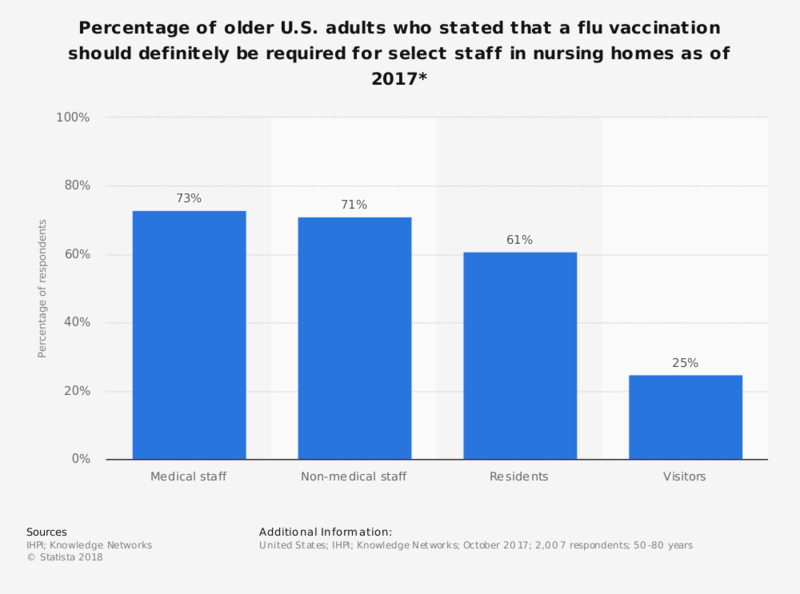 This statistic shows the percentage of adults aged 50 to 80 years that felt flu vaccinations should definitely be required for select staff in nursing homes in the United States as of 2017. According to the responses, 73 percent of respondents felt that medical staff should be required to receive a flu vaccination. * Percentage of respondents that felt vaccinations should "definitely" be required. Everything On "Influenza in the U.S." in One Document: Edited and Divided into Handy Chapters. Including Detailed References. To what extent does the ability of healthcare professionals to prevent publication of monetary transactions with pharmaceutical companies compromise the payment disclosure initiative?